Sir Stirling Moss is without doubt one of Britain’s best racing drivers, and it was he who piloted this Ferrari 250 GT SWB to victory no fewer than three times including, famously, his 1960 victory at Goodwood where he switched on the radio mid-way through to listen to the race commentary. Under the bonnet of the Ferrari 250 GT SWB – which was the 39th model built – is a 3.0-litre V12 engine which develops around 300bhp, allowing for a 0-60mph time of 6.2 seconds and a top speed of 152mph. The Ferrari was built in August 1960 with Moss winning the Tourist Trophy at Goodwood race track later in the month, during which, Moss covererd 108 laps in three hours, averaging 85mph. It was the first time Ferrari had won the Tourist Trophy but the team then went on to win the race over the next three years, too. 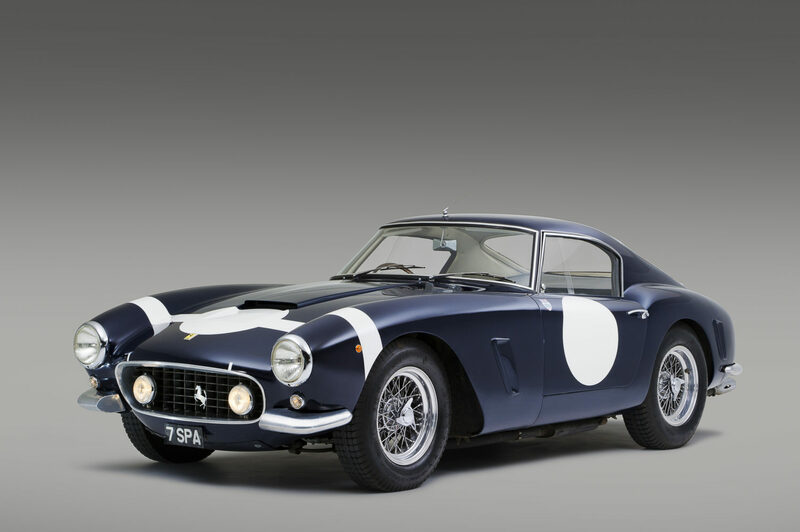 You can no doubt appreciate the beauty of the 250 GT in isolation, but with incredible stories and victories like these forever tied to this car, it becomes a very special piece of history.